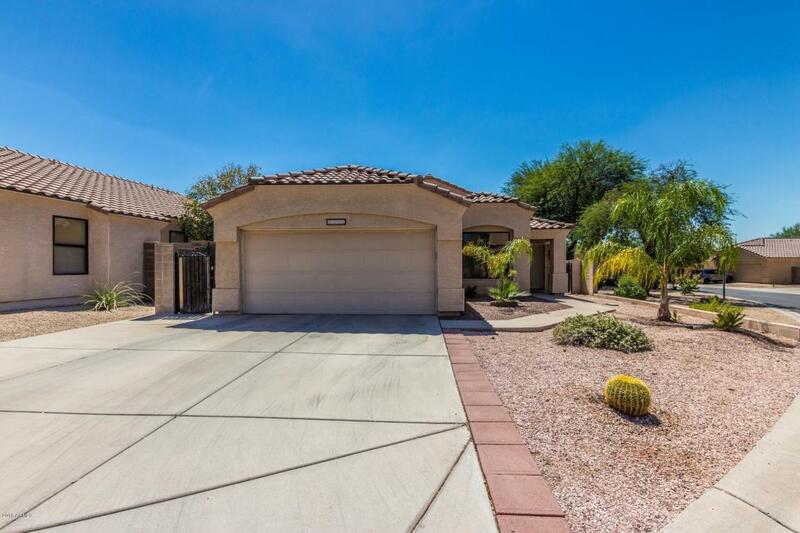 Charming 3 bedroom 2 bath home plus den in a great location nestled in the gated community of Turf Paradise. Home is situated on a corner lot with it's own private pebble tech pool. Kitchen has beautiful granite counter tops and newer stainless steel appliances, beautiful black cabinetry, and a breakfast bar. Vaulted ceilings, ceiling fans and tile throughout make this home feel bright and spacious. Master bedroom has sliding door out to the yard and large walk in closet. AC new 2017. You don't want to miss!